ebay comment: Personal look at the beliefs and attitudes fueling so many of today's political events. 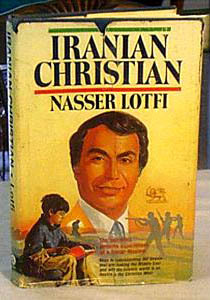 The author, Nasser Lotfi, has written a deeply absorbing yet compassionate narrative that mirrors the violent collision of two vastly different worlds. "A superbly told story of one Moslem's journey to Jesus and his commitment to reaching his countrymen with the gospel. Desperately needed in a world of misunderstanding and hate."